I actually did write these posts on a plane, as promised, but turns out attaching pictures at 35,000ft just doesn't happen. The last week was a whirlwind at VMworld - literally didn't have time to read your blogs, let alone write mine! But that changes now. On to our first rated Dressage show! 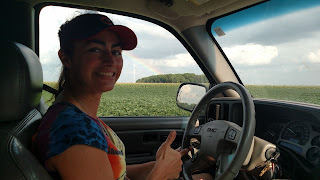 In addition to being my supergroom, she also asked to drive my truck and trailer! It was a big leap of faith to be sitting in the passenger seat of my truck with my horse behind us, but she's a good trailer driver, despite not having done it for a long time. This seems to be a trend with me, and maybe this is TMI, but for the second show this year I forgot to pack a sports bra for schooling the night before. It happens so often, I should probably just put one in my glove box or something. Given my anatomy, that pretty much precludes doing much more than walking, and I almost decided against riding at all, but I hadn't ridden in a week thanks to work. Not sure about you guys, but if I haven't ridden in a week, my first ride back is spent entirely going, "Who am I? Why am I here? 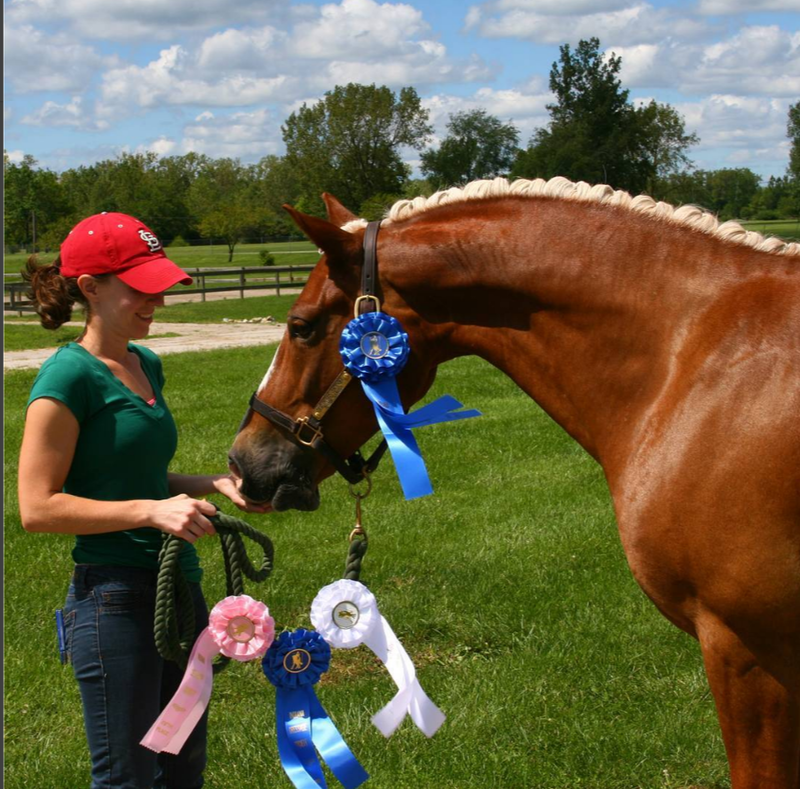 What is this...Dressage thing?" and even considering my wardrobe problem, I didn't want my first ride back to be in the warmup ring the next day, so I hopped on. "Who are you? What are we doing?" As seems to be his usual the night before a show, Connor was a good boy, but a little flat. Not sure if that's a him thing or a me thing. I did quite a bit of the serpentine exercise and the "massaging" his left shoulder over at the walk, and as much trotting and cantering as I could stand before calling it a night. Not straight, but very cute. Also, for I think the first time in my life I had a color coordinated riding outfit that has belt loops. Is this what being an adult feels like? I'll take all your high fives, thank you! That is totally me. God my first lesson back was excruciatingly ego-killing! !